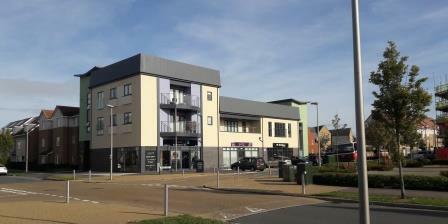 Broughton Gate Local Centre is in a very strong local area in east Milton Keynes just off the main H7 Chaffron Way. 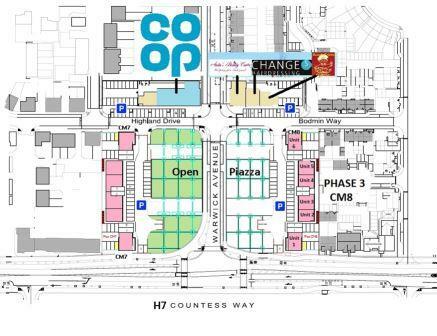 The scheme is anchored by a 4,000 sq.ft Co-op convenience store and is surrounded by over 2,000 fully occupied new houses. CM8 block now nearly completed with a full range of planning uses (A1,A2,A3,A5,B1 and medical D1 and Leisure STP). CM7 block due to start Autumn 2019. Units are available to let on a new lease basis for a term of years to be agreed. Detailed terms on application to the letting agents.